I just purchased my first pair of Adidas! 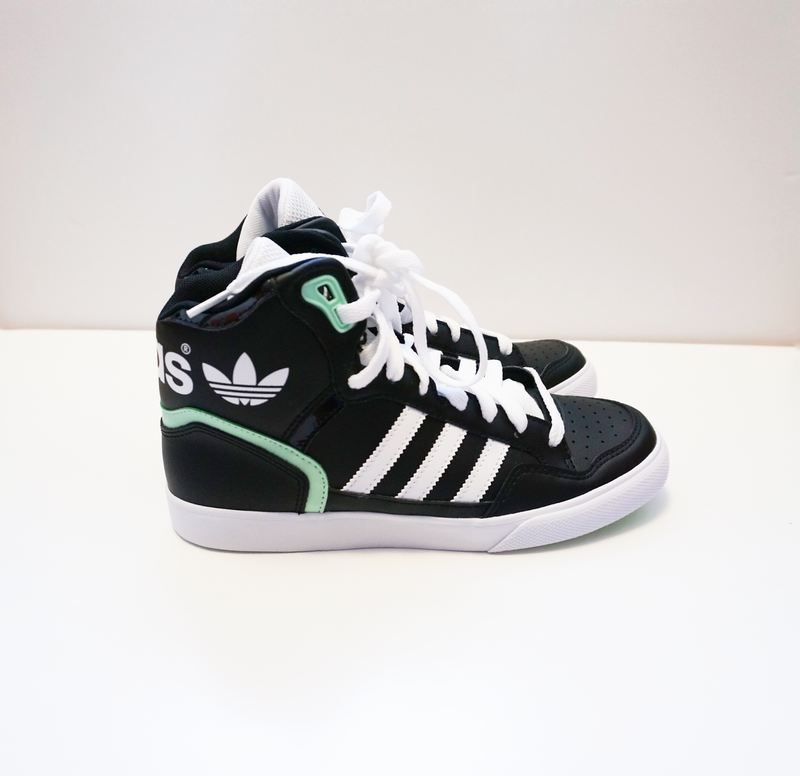 In the past, I have mentioned how much I like the design of Adidas kid shoes! They just look so tiny and adorable! You can check out the blogpost here [link]. I've noticed Adidas blowing up recently. It seems like everybody owns a pair. So I've decided to jump in on the hype and purchase my first pair! 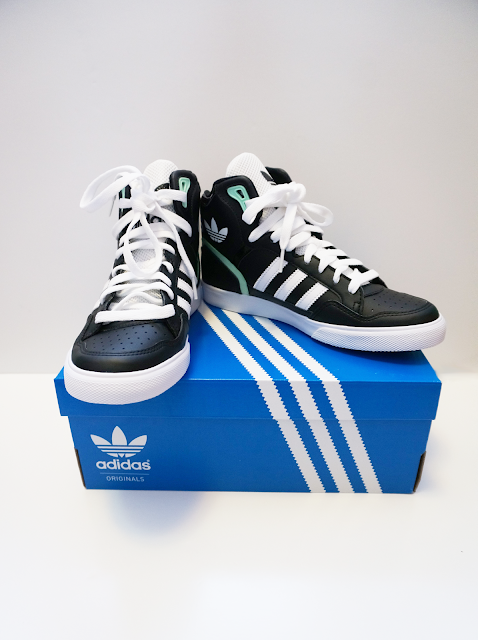 These are the Adidas that I got! 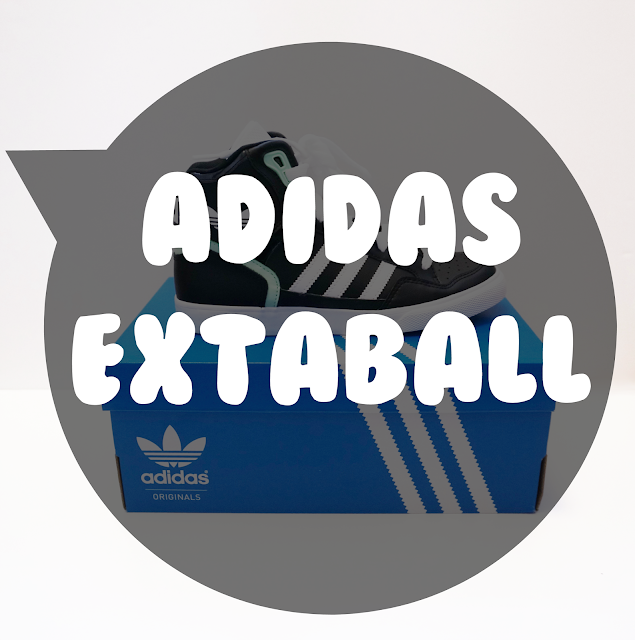 You can buy the shoes here: Nordstrom Adidas Extaball ! Let me first start off by saying how comfortable these shoes are! I've worn these shoes all day, walking around campus and my feet didn't feel sore or tired! I have tried many comfortable shoes in the past, but these Adidas are at the top when it comes to comfortability. Looking through the online comments, most customers recommended sizing down. Usually, I wear a size 7½ shoe, but in cases such as sneakers or flats I can fit a size 7. With this fluctuation in mind, I'm always cautious when it comes to buying shoes. Since I was buying online from Nordstrom's, I decided to buy both a size 7 and 7½ to try on. I know this sounds like an extra unnecessary step, but having the correct fit is very important! This is specially true when buying shoes online! I tried on both pairs and found that the comments online were true! The shoe is extremely spacious, which I like! I decided on the size 7 shoe. My sister graciously returned the 7½ back to Nordstrom for me :]! Let me stress the importance of buying the correct shoe size! I've had disasters where I've bought a pair of shoes online that was too large. It was not a fun experience :(! Luckily, Nordstrom has a great return policy! It is definitely worth while to check a store's return policy before purchasing. Some stores don't offer online returns / refunds on certain items such as shoes. I really like the color of the shoe! The mint green sole and decorative trimmings look really polished. I felt the simple color scheme matches a lot of the outfits that I wear. 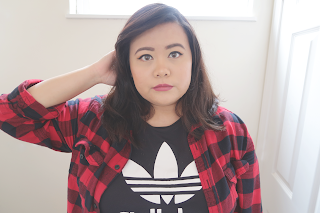 For the most part, my everyday outfits can be described as laid back or basic. I am a big fan of t-shirts and cardigans. These shoes are simple enough to match my outfits with ease! It has been a long time since I've owned a pair of high top shoes. I think the last pair of high tops I've owned were Converse high tops back in early 2007 or 2008. I've always had reserved feelings about buying shoes that are high topped because they can be difficult to take off. What I will say about these shoes, is that they are easy to remove for being a high top shoe. Since the shoe itself is spacious, it is easy to slip the shoe off. So I believe it is Asian household approved! The "tongue" of the shoe is also very soft and pillow like. I like the way the ankle part of the shoe fits as well. It doesn't feel like the shoe is suffocating / choking your ankles when you wear them. I have an issue with some high top shoes feeling like they are desperately clinging to the ankles. It can get gross and sweaty, but with these shoes, there isn't a cling problem. This has been my honest review on Adidas's Extaball High Top Sneakers! I would highly recommend these shoes! If you are looking for a comfortable and stylish pair of shoes, these would be a great fit for you!